Tea also has caffeine. 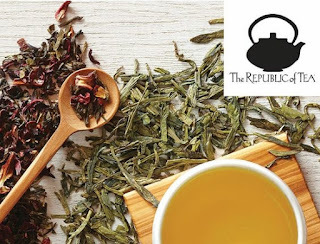 Herb and Red Tea do not contain any caffein. Black Tea has about half the amount of caffein compared to coffee. 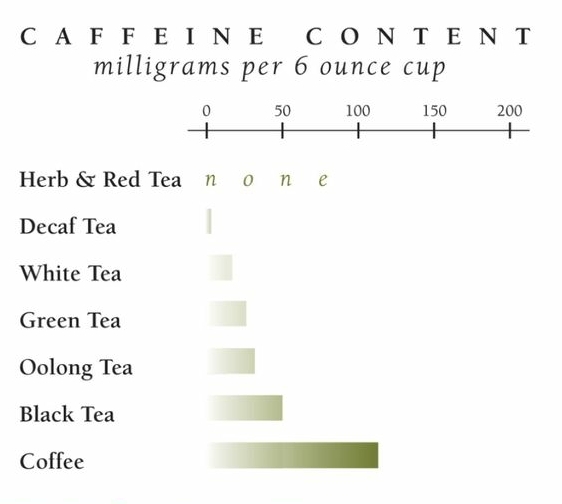 Green tea has about one-forth amount of caffein compared to coffee. Caffein content miligrams per 6 ounce cup.